My Savvy Review of the DAFNI go ~ The Easy Way To Achieve a Salon-Quality Look Anywhere & Anytime! I am absolutely in love with DAFNI and their amazing line of hair straightening brushes. For this very reason I was super excited to try out their new DAFNI go Hair Straightening Brush. 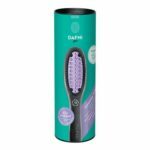 It is no secret that I am already in love with their Original DAFNI Brush as it is DAFNI’s first and original hair straightening brush that works perfectly. You literally straighten your hair by brushing it! Check out my review of the original DAFNI Hair Straightening Brush. What I love about the new DAFNI go is that it is a smaller size that is just perfect for my daughter. She has already claimed dibbs on it and I knew she would as the smaller size is just perfect for her little hands. This model is so much easier for her to use and today she did a quick “on the go” straightening right before school and her hair looked beautiful. I also love the fabulous thermal case & cover that comes with the unit and is perfect for keeping your brush organized and ready to go at anytime. Check out this cool video that shows how beautifully this DAFNI go works and how it is designed for life-on-the-go! The DAFNI go is simply ingenious and makes an amazing gift for the Holidays. From young to old…. this is the perfect hair styling tool that makes styling amazingly easy and convenient all while protecting your hair from excessive heat. 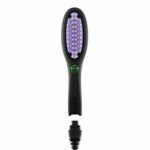 DAFNI go has a compact, lightweight design that allows you to achieve a salon-quality look in just a few minutes while on the go. DAFNI is made of high quality materials, and was designed with revolutionary smart technology and a unique 3D ceramic surface. DAFNI go is the portable edition of the original DAFNI with a detachable cord and thermal cover and case. The DAFNI go maintains a constant 365°F for optimal results from root to tip, which is safer and less damaging to your hair. 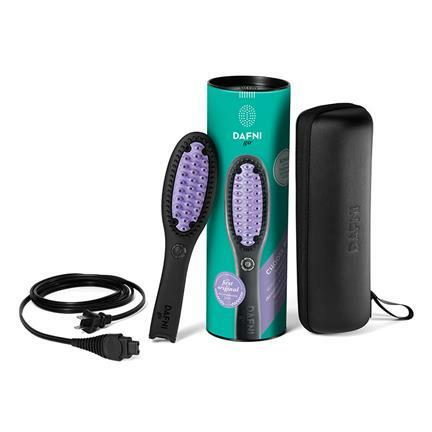 Your hair does not feel hot and overheated after using the DAFNI go as compared to the high end flat irons that I own. I love this because I know that it is not damaging my hair due to excessive heat. Your hair is actually shinier and healthier looking after using this fabulous device. It only takes 60 seconds to heat up and has a safety auto shut off after 15 minutes. It has a nice 6 foot 6 inch cord that provides room to move and is made with spring-backed, plastic heat-insulated bristles that protect the scalp. This is an ingenious product and if you have ever been disappointed with a similar product…. it is because you did not use “The Original” ceramic hair straightening brush with patented 3D technology. I promise you will love it! Check Out DAFNI Today & See Why You Need This Fabulous Device To Have Beautifully Styled Hair Each and Every Day!